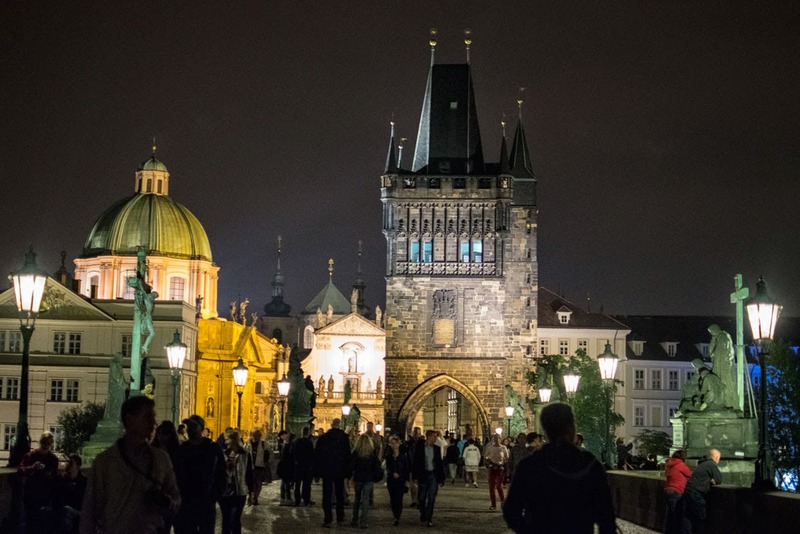 I have wanted to come to Prague for years, years, and more years. I am finally here. I arrived in pouring rain. It didn't matter. The city was magic from the moment I stepped out of the cab and entered the apartment from the 1500s that I'm calling home for the next few days. The apartment is beautiful and perfectly located. 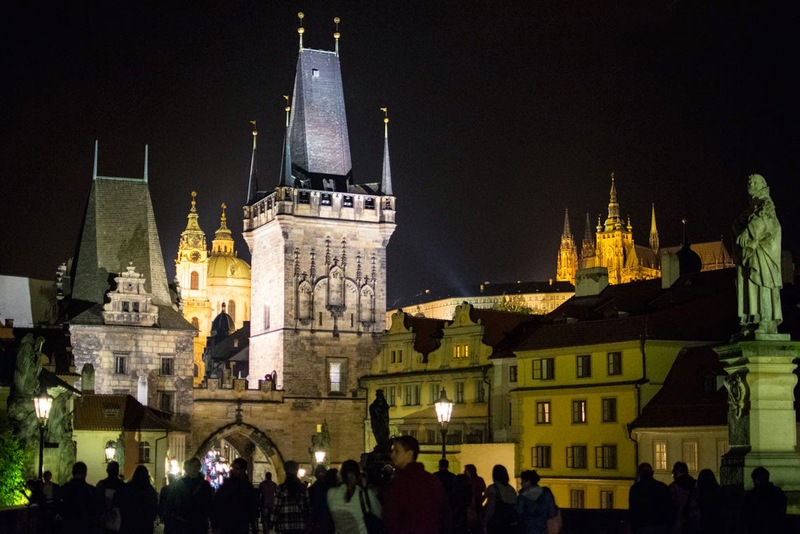 Prague Castle looms above it and Charles Bridge stretches across the Vltava River just down the cobblestone street. Standing on Charles Bridge looking at the Lesser Town Bridge Tower. St. Nicholas Church is peaking out to the left of it. Mozart played the organ there. 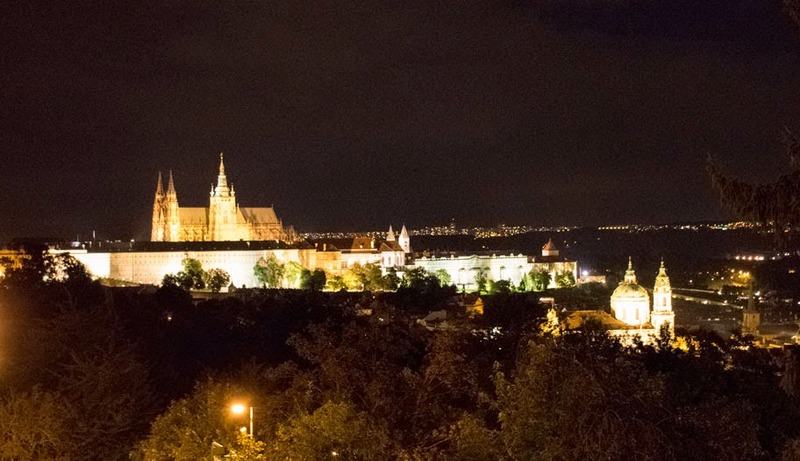 St. Vitus Cathedral (Prague Castle) is on the far right. 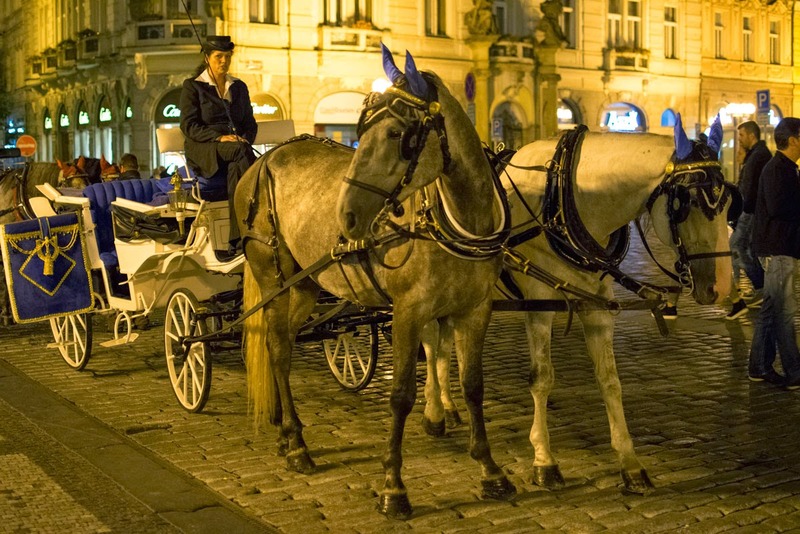 I had booked a night walking tour of the Mala Strana (Lesser Town), where I'm staying a few days before despite knowing I'd be jetlagged. It was the best decision I could have ever made. The tour started at 8:30 pm. In the dark. I was to meet a mysterious man in a mask and spend the next three hours learning the esoteric history Prague. If this sounds completely insane, its not. 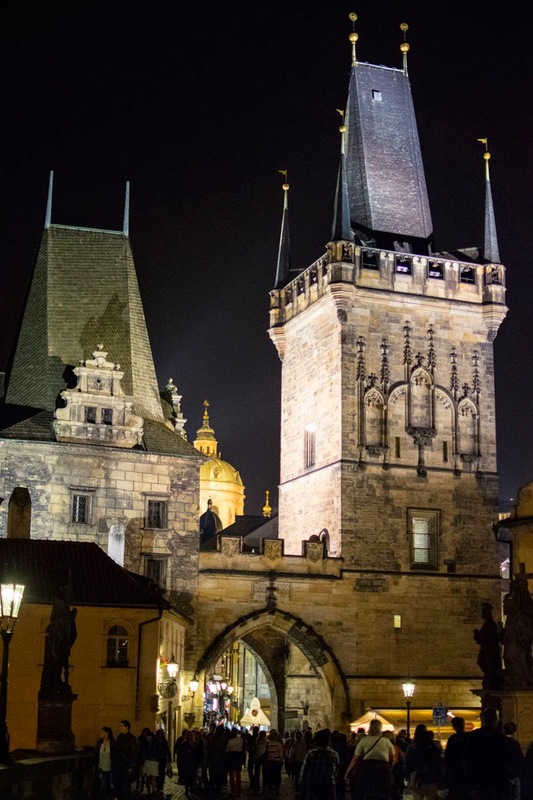 It's the beginning of one of the most interesting tours you could ever take: Mysterium Tour Praga's Esoteric Prague tour. Don't hesitate. 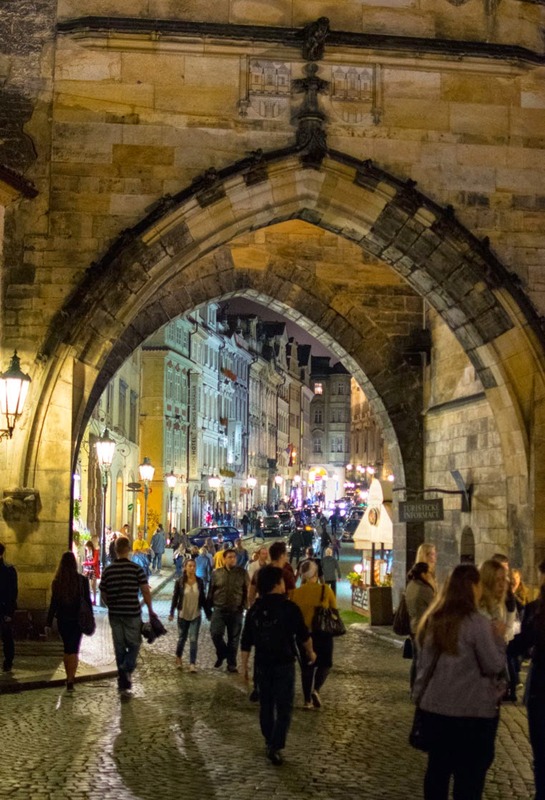 Just go meet the man in the mask under Charles Bridge where it passes over Kampa Island. His name is Peter. He's a fantastic guide. 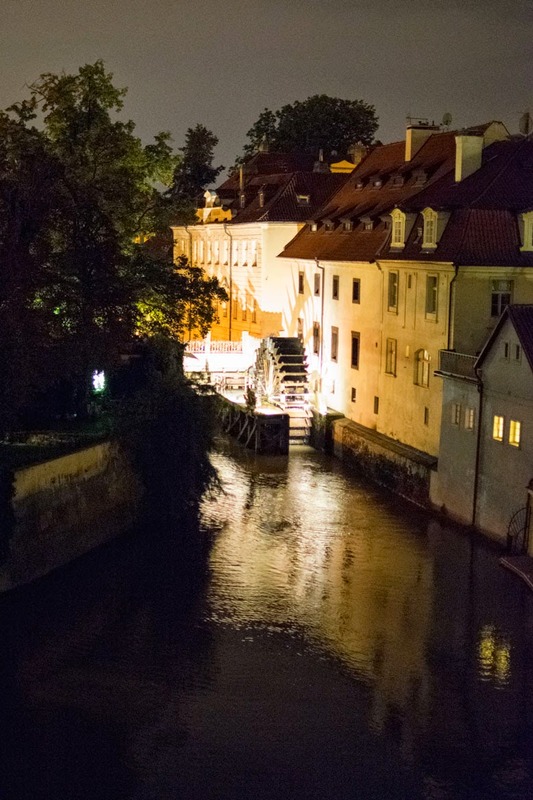 We learned about vodniks (a Czech/Slovak water spirit) while watching a waterwheel turn in the Devil's Stream, which separates Kampa Island from Mala Strana. We journeyed to the land of Arcondia through the paintings of Reon, who creates portals to this fairy world. 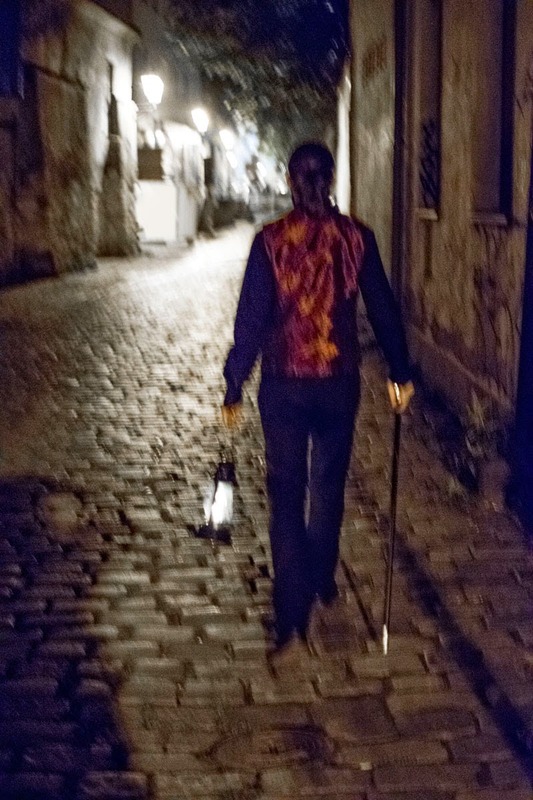 We were joined by a magician here who accompanied us through the rest of Petrin Hill and up to the Castle district to learn about the history of alchemy, astronomy, astrology and other secret lore Prague is famous for. The night came alive with arcane symbols and connections across centuries of knowledge. We even visited a possible gate to Hell. 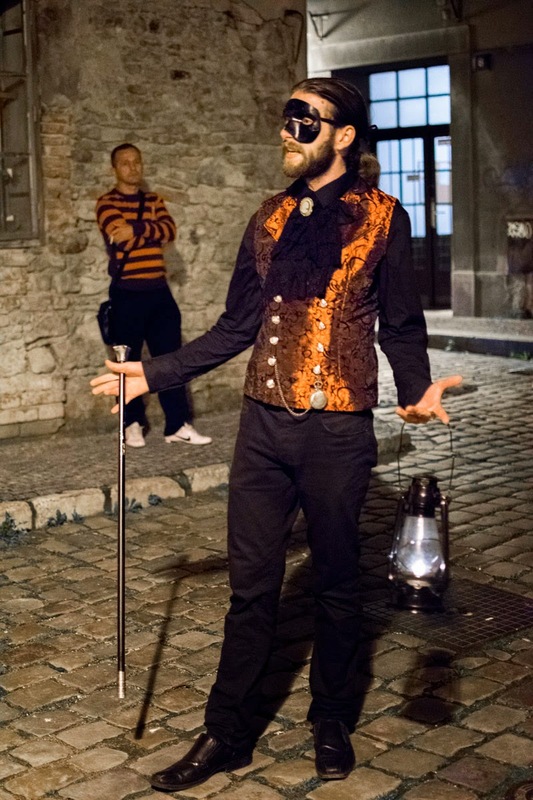 I loved this tour so much I immediately booked, for the next night, the Ghost Tour Mysterium offers. 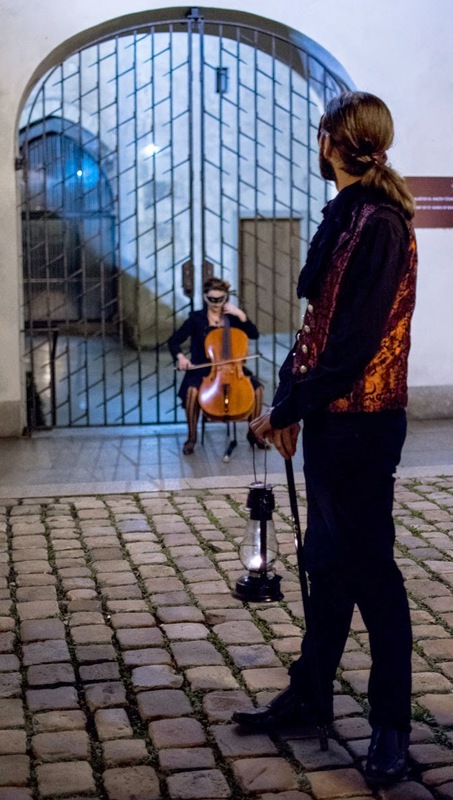 Again, following Peter, we wandered through the narrow streets of the Old Town, occasionally haunted by a cello player and her wonderful music. 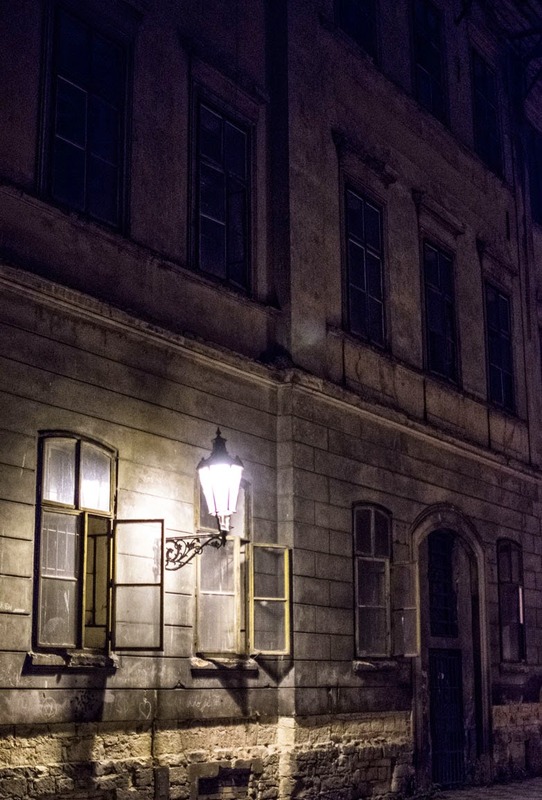 We learned of murders, forsaken lovers, disappearances, strangled maids, and visited the most haunted building in Prague, which we were drawn to like moths to a flame. 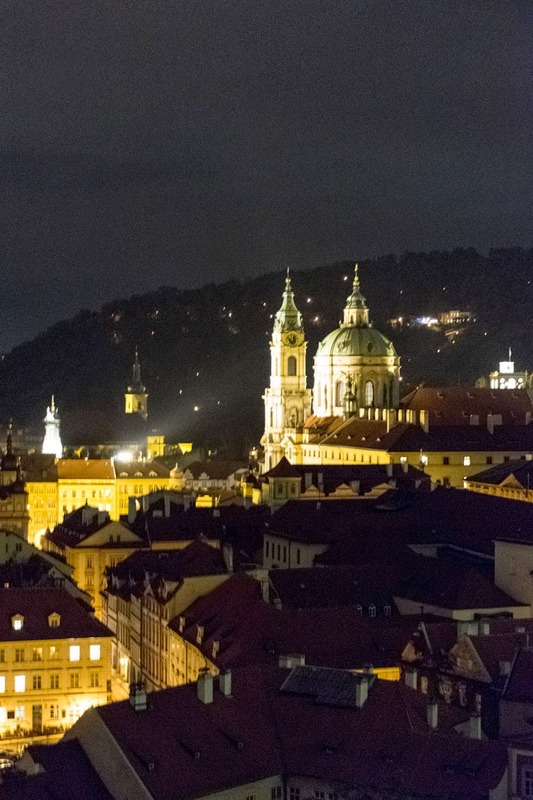 I like Prague during the day but it is a night that it sings to me. It is a jewel who reflects its thousands of years of history like a prism when the sun goes down and the full moon comes up. The Lesser Town Bridge Gate. Waterwheel on the Devil's Stream. The figure of a vodnik can be seen just to the left of it. Prague Castle from Petrin Hill. St. Nicholas Church is the dome below it. St. Nicholas Church from Prague Castle. The Old Town Bridge Tower. 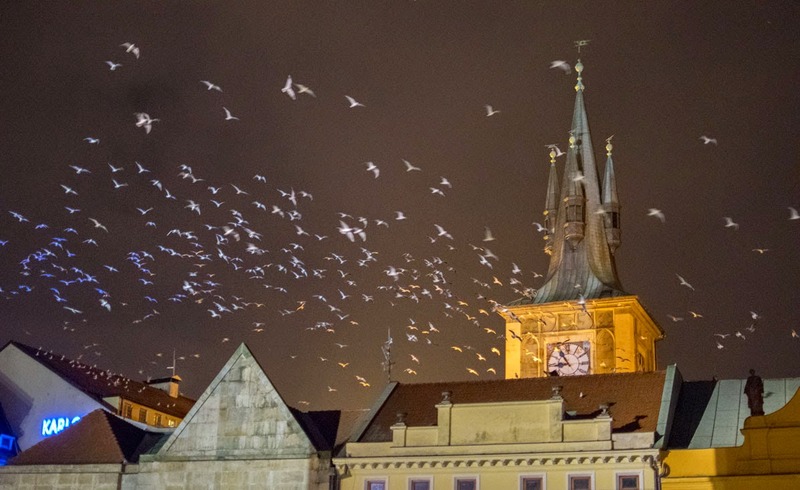 On the summer solstice, from the tower, you can watch the sun set on the exact spot in St. Vitus' Cathedral where his remains are buried. Heading into the Old Town. The seagulls still wheeling about the sky. 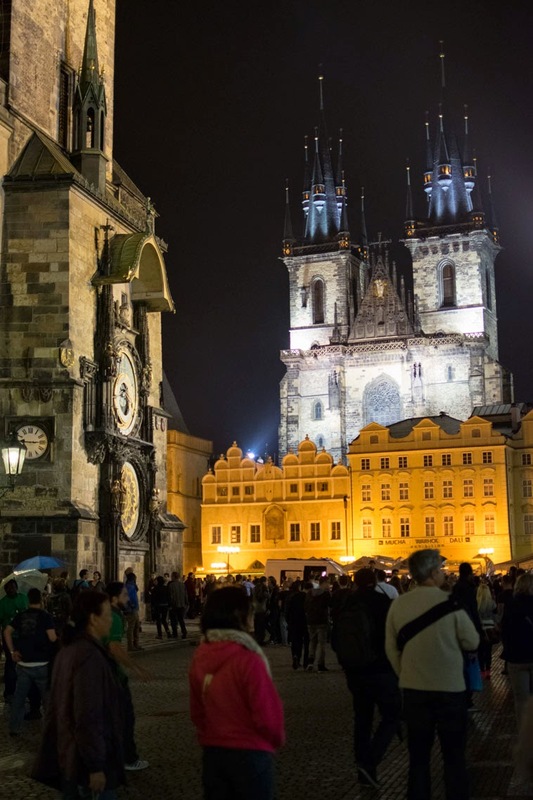 Prague Astronomical Clock and Our Church of the Lady before Tyn in Old Town Square. Our Church of the Lady before Tyn. Gratuitous horse shot. Old Town Square. 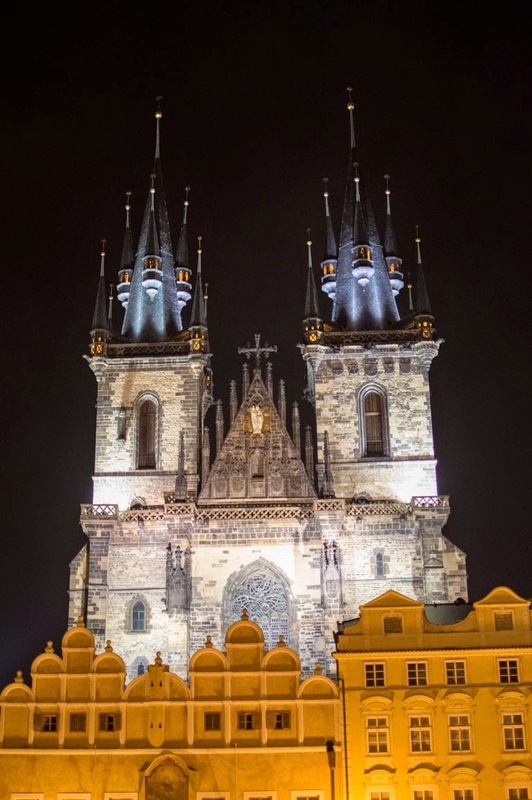 One of the most haunted spots in Prague. 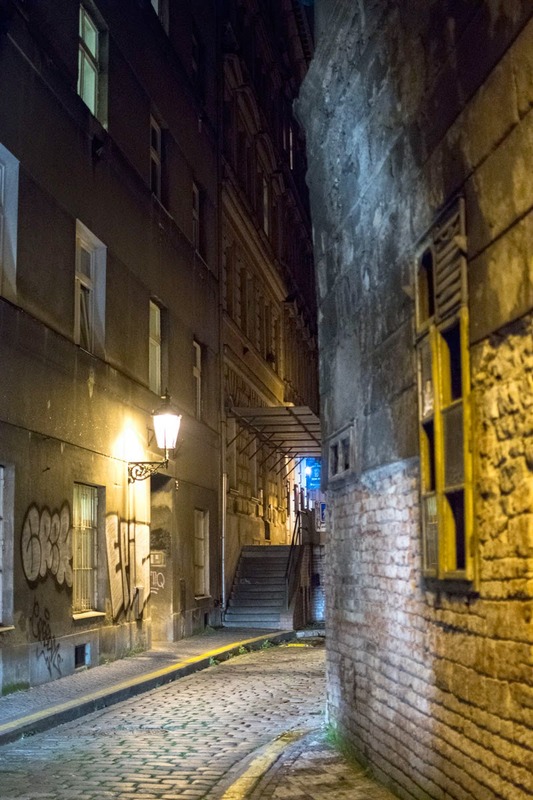 Another view of one of the most haunted spots in Prague. Is the cello player really there? Or is she a ghost? Come to Prague to find out.